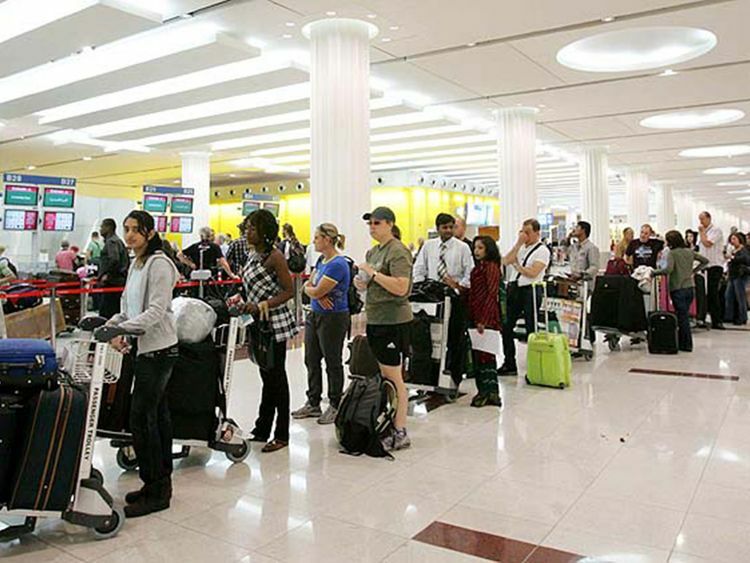 Dubai: Passengers travelling from Dubai have been advised to keep an eye out for changes in their departure terminals, as airlines will soon start reshuffling their operations following the upcoming closure of the southern runway of Dubai International Airport (DXB). flydubai confirmed to Gulf News that departure gates for flights to 42 destinations, including those bound for India, Pakistan, Sudan, Egypt, Jordan, Kuwait, Saudi Arabia and Nepal will be moving to Al Maktoum International (DWC) airport in Jebel Ali on April 16 to May 30. Out of the 42 routes, however, at least eight will be operating from both DXB and the terminal in Jebel Ali, and these include those heading to Alexandria, Bahrain, Dammam, Jeddah, Kabul, Kathmandu, Kuwait and Muscat. Travellers who will be flying with Emirates, however, are advised that none of the flights will be diverting to DWC. However, many trips will be cancelled, re-timed or have the operating aircraft changed, as up to 48 aircraft will be grounded for 45 days to pave the way for the repairs. "[The runway closure] will result in up to 48 Emirates aircraft not being utilised, with a 25 per cent reduction in the overall number of flights operated by the airline during the 45-day period," Emirates had said. Passenger traffic at the new international airport is expected to surge by 700 per cent once the diversion of flights takes effect. “We advise all travellers to arrive at the check-in desks two to three hours prior to their flight departure time. We encourage all passengers arriving into Dubai to check their airport of arrival and to remind anyone who’s picking them up that they might be arriving at Dubai World Central (DWC). DWC is about 60 kilometres away from the Dubai World Trade Centre. The Dubai Taxi Corporation has just announced that flag down rates for taxis from DWC will be reduced by 75 per cent, from Dh20 to Dh5. This will hopefully minimise the transport costs that will be incurred by travellers landing at the Jebel Ali airport.